So now we're up to the games that actually earned a fair chunk of votes. This is usually where the best of the non-Nintendo games end up. Metr01d wrote: MM was the first one I bought with my own money (because pocket money is a legitimate income). Even today I think it has the best atmosphere and characters and the gameplay is solid. It's also got great locations like Clock Town, a non-infuriating swamp and Ikana Canyon. That last place and the theoretical lore surrounding it gripped me super hard. The way people just looked at the area design for it and put together a backstory without being spoonfed it just left me thinking "Holy hell, you can do that?" TheAPERSON wrote: Yes, I have enjoyed this game that much. 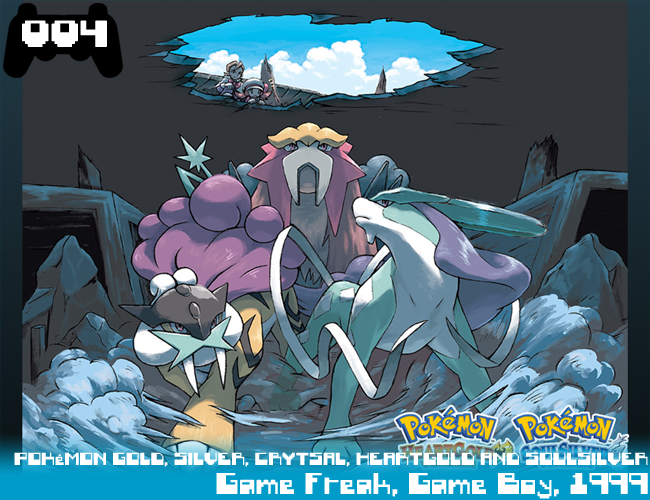 The most extensive range of multiplayer in the series, the strongest soundtrack in the series, the most amount of Pokemon ever available in a game, new gameplay mechanics and types which breath new life into Pokemon while also making it easier for people to build competitive Pokemon teams, the series going 3D made it feel fresh and led to some interesting new gym ideas like Anistar's gym and the ending is one of my favourites in the series. row101 wrote: I love the art style. I love the paintbrush mechanic. I love the soundtrack. I love it all Goddamit. vtheyoshi wrote: There's no like significant, deep seated meaning it has to me, it's simply the nearest to perfection I've ever found in the game. It's a beautifully atmospheric game, the visuals and sound work together so well; the music is great and evokes whatever the game wants you to feel. And the visuals, are of course gorgeous in every way and fit it so well. 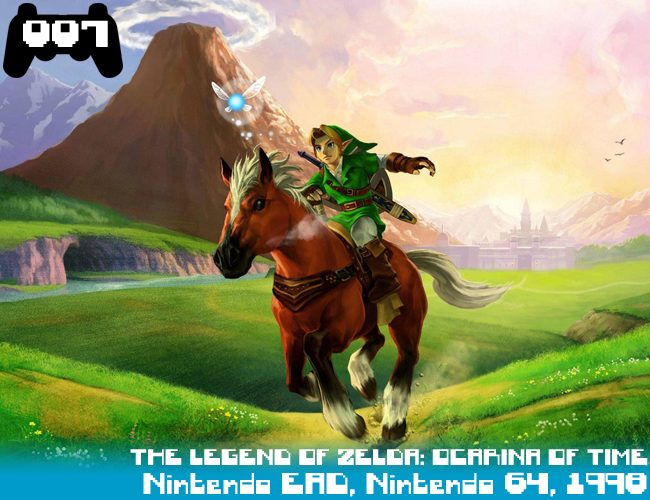 The gameplay is excellent; the brush is unique and while the game is similar to Zelda, it only takes the best parts from it and adds on top. I know that many people felt that it was too long, but the story was fantastic and the final boss and the cutscenes that accompany it are just fantastic. I cannot speak higher of this game. TheAPERSON wrote: While most games you can often classify into a genre, Shadow of the Colossus is a totally unique experience. Its not the longest of games and the dialogue is sparse, but it adds to the charm and the 16 boss battles in the game are 16 of the greatest boss battles in video game history. And then it ends on a huge plot twist. A masterpiece. Metr01d wrote: The superior Final Fantasy. Vivi is great. Steiner is great. Freya is great. The Zidane/Garnet relationship seemed more natural than their other attempts. The artstyle was great, story was maybe a bit basic but what it did it did really well. It's also one of the few games I'll admit to crying at. Jenova Project X wrote: A series I've been interested in since hearing about but have only really been able to play recently. Boy was it worth the wait. Some of the best gameplay I have ever seen before, the Souls series plays exactly how games are supposed to play. It's unforgiving and unlike a lot of games it relies purely on thinking things through. Everything behaves as it should, hitboxes are refined and precise, the controls are smooth and the timing on attacks, parries, rolls are all exact, so every time you die it's because you did something wrong, you simply didn't play with enough skill. Some games will let you off, some games will penalise you for issues you didn't commit, Souls will punish you for nothing more than what you do. Throw that unforgiving nature into a world that's dark, atmospheric, hopeless and covered in a grim veneer with some of the most fun and engrossing plotlines ever (which most importantly is almost entirely hidden from you unless you piece it all together) and you have Dark Souls. Throw in a simple but inspired online mechanic for fun PvP and co-op gameplay and it's all even better. My favourite new IP of last gen without a doubt, I can only sing From Software's praises for this masterpiece. Wiitabix wrote: The title is more than a little jibe at Final Fantasy... Everything is here for a masterpiece and that word best describes this game. Sakaguchi (like with Chrono Trigger on the SNES) did the Wii and himself very proud with this game. Uematsu also worked wonders with the captivating and atmospheric soundtrack. 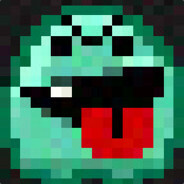 KingoftheSocks wrote: I think if a game is still played competitively even after 13 years after being released it certainly shows how entertaining it is, even if half of the stuff used in competitive matches wasn't intended to actually be available (wave-dashing and whatnot) its still a cracking game to play. lil gamer wrote: far better than both the previous game and its sequel. Amazing locations, characters, story, missions and music make this one of the most impactful and well crafted games I've ever played. TheAPERSON wrote: Of the three Prime games this one is the strongest imo. Once again is has a great soundtrack (I consider a great soundtrack to be part of a great game), a rather extensive adventure which starts right in the thick of the action and then plants you in one giant level which you travel through from start to finish, facing many bosses along the way. Ends in a challenging set of final bosses and I also like the way how it went out of its way to explain the loss of abilities and made a powerup that you casually picked up along the way a plot device for later on. This game rubber stamped my view of Retro as one of the best game developers around. Think you can work out the Top Ten now? We'll start that final journey in ten minutes. Thats a good call, I wouldn't have complained. Half of the top 20 are games I've never played but really really want to *sigh*. Aaaaaand of course people are arguing. Sad I guess I just am surprised that The Last Story got so high. Actually, did anybody else vote for Hotline Miami? I don't want to be the only one who did. Looooove that game. Just played it again and finished it within the day and I love it even more now. Nice to see The Last Story getting recognition. You can tell these games are worth a damn because the images got bigger. UchihaMiek wrote: A master class in story telling. 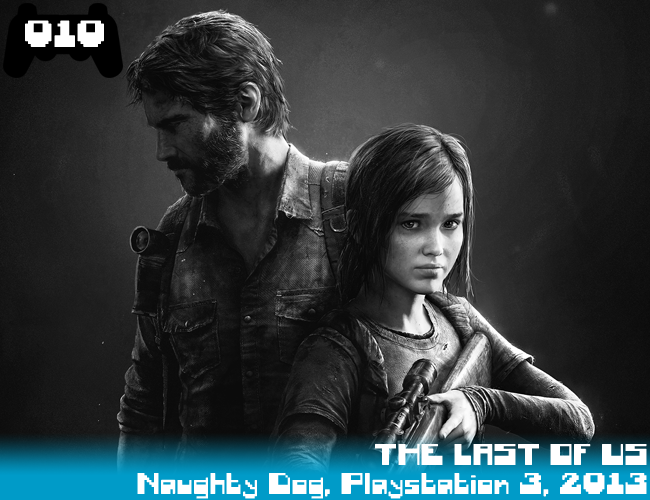 The gameplay can be a bit janky and repetitive sometimes but damn, that story just keeps you going until the end. Honestly, everyone needs to experience this game. googlybear wrote: Been hundreds of Mario games and this is easily the greatest. The sequel managed not to be simply a level pack - the world map was refined, every stage was magical, Yoshi was a superb addition, it looked fantastic even on the inferior Wii and I simply can't overstate the unrelinquishing sense of joy I got through playing this game. UchihaMiek wrote: No other game has hooked me quite like this, and made me care about it's story and characters so much. I played it NON-STOP, did a full playthrough and got the true ending and then went straight into a second playthrough to clear up and finish the game 100%. I sunk hours and hours into it and would happily wipe it all from my memory just so I could experience it all again. The best game I've played, period. King Slazo wrote: I thought no game would ever again deeply move or enthrall me, but P4G shattered that belief. The best story of any JRPG I've played, a brilliant battle engine alongside the other game mechanics, I just can't praise this enough. Jenova Project X wrote: Big Boss being Big Boss in a fantastic prequel storyline that I will always be happy to replay over and over again. Just so much yes, words don't do it justice. Bees. 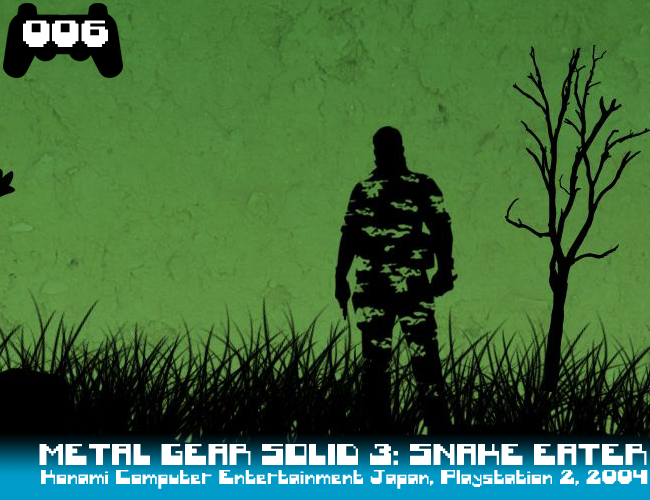 UchihaMiek wrote: I was late getting into the Metal Gear Solid series, and when I committed to it I kind of plodded around at a slow pace for the first two games until I got burnt out of playing them back to back and gave up at the start of 3. I eventually forced myself to go back to 3 and boy I'm happy I did. Easily one of the best games of all time and really re-energized me to finish off the rest of the series and put MGS near the top of my list of favourite game series. FIVE TO GO. See you at 8 for numero 5 itself. ...and as I say that, TLOS, OOT and MGS3 all appear. Considering personal taste will be different to others, I can accept a top 10 ranking for those 3 and be happy. How dare personal tastes be different to my own. I hype train'd all over Fire Emblem: Awakening. But Brawl isn't number one anymore .. surely you be pleased .. no ? Last edited by Bix on Sat Nov 08, 2014 7:57 pm, edited 1 time in total. It true though. Why would people rank an excellent game over on that was, at best, above average? Also, I haven't eaten anything today, so I may be a little tetchy. Putting my money on FE:A for #1, but Xenoblade is also a top contender. Kudos to Slazo for the speed of the list ! Xenobladeperson wrote: I've been feeding this game a constant stream of praise since its release 3 or so years ago and I hope I don't ever live long enough to stop. The ambitious, 60-80 hours long quest to trek across some of most beautifully designed environments in all of the videogame industry's history is one unlike anything else I have ever experienced. Landscapes such as Gaur Plains, Eryth Sea and Valak Mountain, to name a few, are on a tier that no other game ever has or ever will come close to. Although it is occasionally pulled down by unnatural dialogue, the storyline delivers loveable characters and emotional, unforgettable events by the bucket load. It's breath-taking, 91 track soundtrack in my eyes will always hold a special place as my favourite OST, not just of gaming but all time. In the past few years I've went back and played some of ye olde PS1 and PS2 era JRPGs and found that some of the elements of Xenoblade that I had always admired as innovative were not nearly as groundbreaking as I had once believed. While I was thinking this however, it is an undeniable fact that they had been implemented and executed here better than anywhere else. 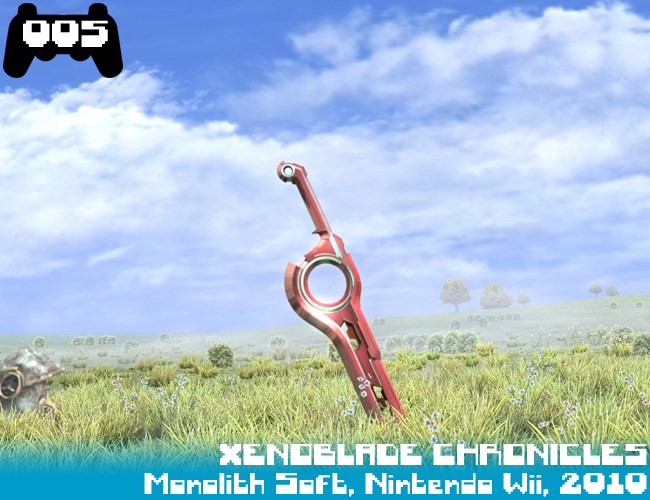 If ever there was a videogame that I could call art without hesitation, it would be Xenoblade Chronicles. Wiitabix wrote: Wondrously colourful, immersive, and massive. The best story you can experience on the Wii? Damn close... The soundtrack contains some of the best in-game music you will ever hear in a video game. pokemaniac 212 wrote: If chrono trigger is the best classic RPG, then Xenoblade is the best RPG of all time, full stop. The story is epic, and despite being incredibly long, never gets boring. There is so much nuance to everything, and the battle system is the best in any RPG I've played. Genuinely not sure how it could possibly be improved. wiill 64 wrote: I finally got around to finishing this game in the Summer and wow, what an experience. One of the most incredible, interesting, rich, and vast game worlds I've had the experience to explore as well as one of the most engrossing, plot twisting, and entriguing story that I've experienced. Then there's the soundtrack which has to be the best soundtrack in a videogame ever. The only downside I had playing this was that it killed my seven year old Wii, but it was worth it. I'm really looking forward to X. Who will take the almost podium but not quite fourth place? Find out in 5! Bix wrote: I hype train'd all over Fire Emblem: Awakening. Didn't know Brawl was ever #1, this is the first list I've been around for on here (well, ONM) . Also, who the gooseberry fool voted for Brawl to be #1 last time? INSANE . But I am a little displeased with my personal #1 only being #91 . Well that's a bit of a surprise. Number 1 choice for me came in only at #22, still, nice to see some of the other games I put on there get into the top 20.
bigcalwv wrote: Didn't know Brawl was ever #1, this is the first list I've been around for on here (well, ONM) :P. Also, who the gooseberry fool voted for Brawl to be #1 last time? INSANE :P.
But I am a little displeased with my personal #1 only being #91 :P.
It's not even a matter of a lot people voting for something to be number 1, all a game needs to do is consistently appear /somewhere/ on a lot of people's lists to accumulate points. Bix wrote: Kudos to Slazo for the speed of the list ! Lloy2 wrote: I love this game with my whole heart. It captures in lots of ways what's great about for Pokémon, has awesome music and fun little mechanics. Jenova Project X wrote: By far the biggest and most adventurous titles in the series GSC were originally designed to be the end of the Pokémon series until the demand made that completely impossible, and looking over the events of the game there certainly is that sense of finality to what they were going for. Throw in some of the best designed creatures the series has seen, some really fun areas and characters it really is just everything that makes the series the most popular franchise around among people of all ages. UchihaMiek wrote: I had to include pokemon on here somewhere since it was such a massive part of my childhood, and Gen 2 still remains my favourite gen. The DS remakes are even better and a massive nostalgia trip. Sadly I'm sort of "over" pokemon at this point but I can still respect it for what it once was for me. wiill 64 wrote: Despite all the tweaks and advancements made to the series over the years, Gold/Silver are still my favourite Pokemon games. They have the best soundtracks in the series, the last proper rival, and the best endgame content with a second region being included. HeartGold and SoulSilver may have updated the games to the DS era, but it was the originals that captured my childhood and that's why they're on this list. King Slazo wrote: The games that would devour my childhood, along with Stadium 2. The first games I imported, and sunk more time into than any other game ever. Gen5 came close, but so far no Pokémon game has matched these two. RiksilveR wrote: The best version of the best title from the best generation. Introduced so much to the series, making it the biggest step forward Pokemon has ever taken, and had the best champion theme ever. I defy you not to join in if someone starts up that telltale "Duh. Duh. Duh. Duh duh duhduh...". Also Lanturn. I'm trying to remember if Pokémon has ever podiumed. Not to be this time, sadly, but there's no doubting Gen2 is the defacto best. Bronze medal winner in 5. 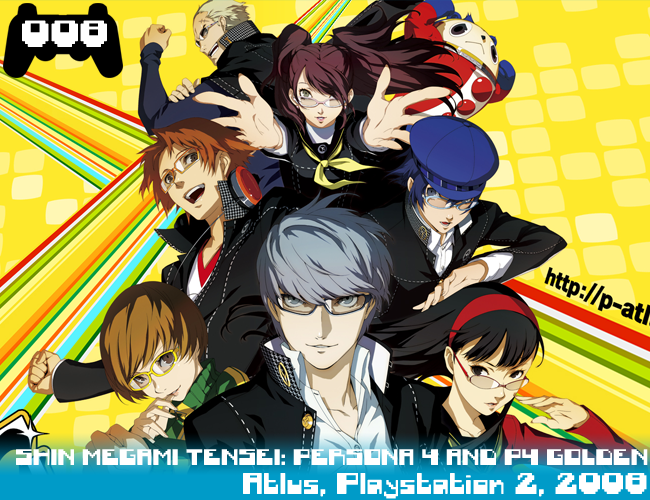 I thought about putting Persona 4 in my top 10, but then I realised the gamelay kinda jarred with me, and I loved it more foor the characters and story. I would have been just as happy watching the anime. 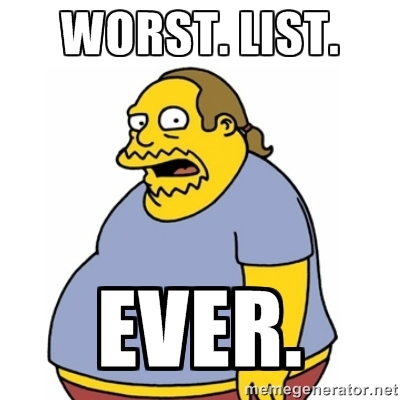 When Brawl did win number 1 (I think it won twice actually, correct me if I'm wrong) people didn't vote for it as their number 1 that much but it placed in the lower ranks in tons of people's lists, so it still racked up tons of points. re Brawl, yeah, it rode a wave of solid voting to get the #1 spot in 2011. And then again in 2012. Aaaand 2013. Lloy2 wrote: Wow. This game is stunning the whole way through, is almost never too hard or easy, and presents its deep-space themes perfectly. Fabong LeTang wrote: One of the best platformers ever, the first time I walked all the way around a globe in this game will always be a favourite memory in gaming. 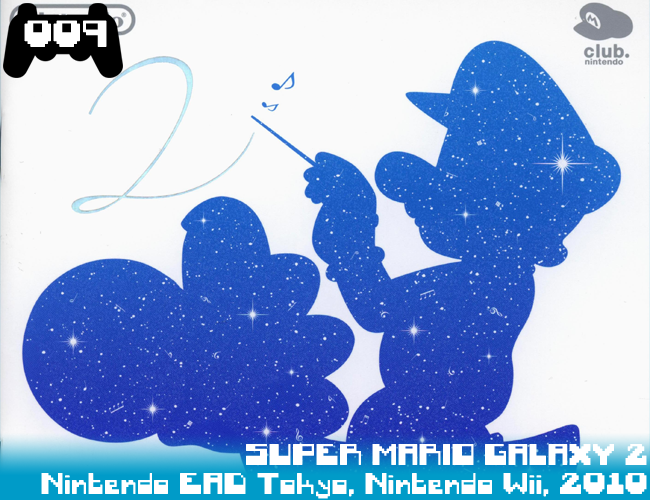 wiill 64 wrote: Exploring space with Mario was awesome. This game felt like the true sequel to Mario 64 (Sunshine was great but felt like a different Mario game). An amazing soundtrack, fun boss battles, and fascinating enviroments, this is possibly Mario's highest high and may take decades to truly be beaten by an entirely new Mario game. 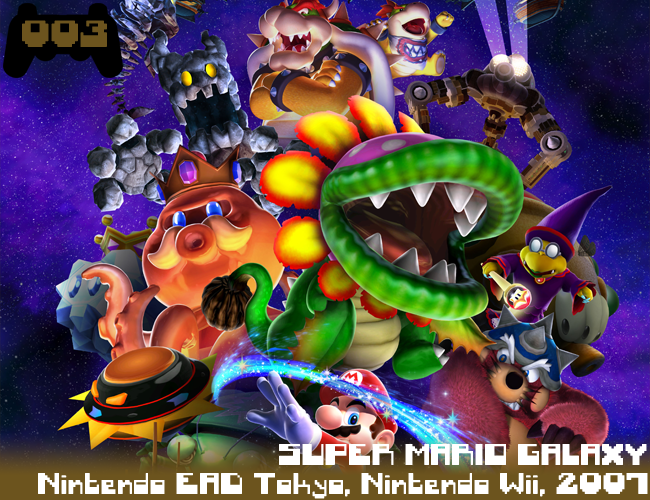 vtheyoshi wrote: This game is one of the most perfectly made platformers of all time. The game just works so damn well in every way. This game is pure fun for most of its duration; it's jam packed full of brilliant ideas, and is one of the best looking Wii games to date (like seriously; it looked HD and I don't know how). The orchestral musical score is fantastic to boot. It also has the best story of any Mario platformer ever; Bowser seems truly threatening, yet he is relate-able at he end of the game after he has been defeated. Rosalina is a brilliant character with a surprisingly tragic and poignant backstory. And then there were 2. Swordsman vs swordsman. Toon Link vs Chrom. That final result will be in 5 minutes unless I dickmove like last year and what are the chances.